I have finally found a scent in this beautiful little cream bottle, that my partner adores. He's not a fan of any of my perfumes, he even turns his nose up and has a little moan if I reach for my favourite oriental scent by Kim Kardashian (self titled) But this one? He adores. And he's not the only one. I'm completely in love with the scent. Inspired by a myriad of scents and aromas from around the globe, this scent contains fifteen precious botanicals which have been carefully selected and handcrafted by an award-winning perfumer. 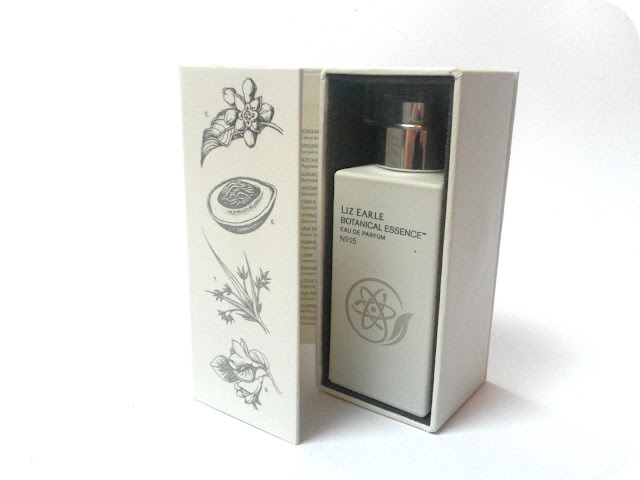 Botanical Essence No.15 is a fresh, spicy oriental scent which will leave you feeling fresh, seductive and elegant. What I love about this scent is that I put it on in the morning, and it sticks around all day to well into late evening. I've never known a perfume to last so long. The scent to me is warm, sweet and spicy and makes me feel pretty darn pretty, I have to admit. It's such a beautiful scent and it proudly sits on my dresser out in the open. 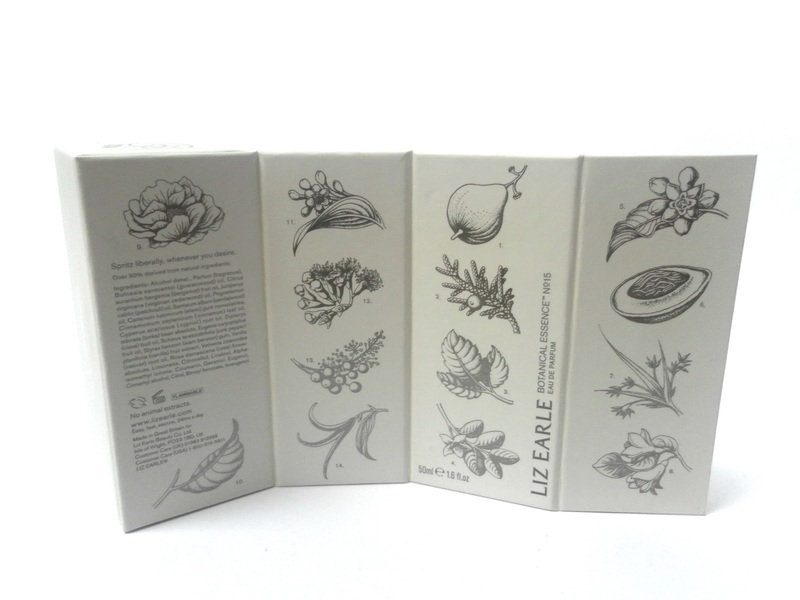 I often pick up the box just to admire the illustrations of the ingredients and I think it's a really personal and natural touch from Liz Earle that they have presented their sensuous perfume this way. 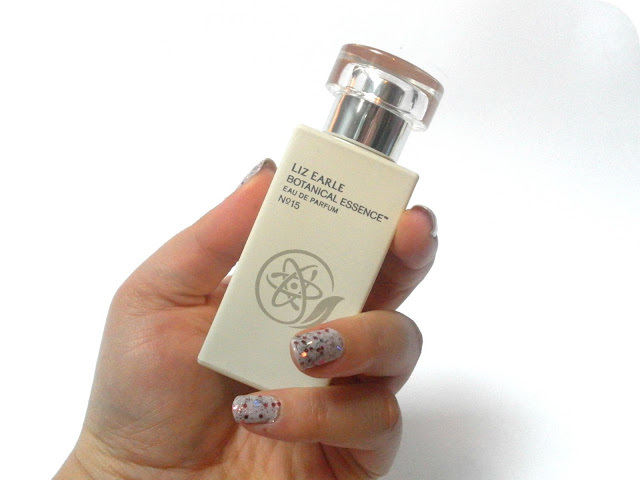 You can find my new favourite scent on the Liz Earle website, here, and a lovely 50ml bottle will cost you £45. My husband calls me the female Gremlin whenever i wear red lippy. Men ay! I've been wanting to try this for months but haven't been able to afford it yet. Your review makes me want it even more. This advent is amazing. SO many lovely things already & todays sounds wonderful. Its a handy size to carry about or take away on holiday. I have never smelled any of their perfumes. I really need to. I love this fragrance. It is so unique and perfect for A/W.